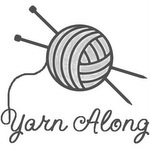 I have not been blogging the last week because my mum and my sister were visiting last Wednesday through Saturday. On Friday night, a bad storm hit the D.C. Metro area, causing us to lose power. We were in the middle of watching The Blind Side, when everything literally went dark. We got partial power back. Thankfully our refrigerator was working, along with some of our lights and some of our electrical plugs, but our AC was not working. On Saturday, I took my mum and sister to a Metro station so they could take the bus back home. I'm just thankful I made it back safely. There were so many traffic lights that were not working. On Sunday, we still only had partial power. I was getting VERY impatient and so was Charis. Every time she cried late Sunday night/early Monday morning, it was because she was thirsty. I would fill up her sippy cup with ice water and she would down it. I decided to leave her sippy cup in the crib. Yesterday, around 11:00 AM, I went into the kitchen and thought, "The oven shouldn't be flashing 12:05. The power is off." Then, I realized, "The power's back on." I turned on the AC, did dishes, closed windows, did a load of laundry, and called Drew to update him. My husband has not had to work at his morning part time job, since the company has been without power. I will start blogging again for the Summer #BlogChallenge, and I'll try to go back and catch up on the blog posts for the challenge. 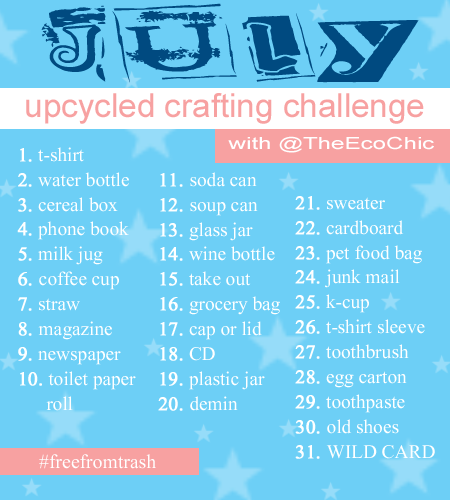 I'm also going to partially participate in the July Upcycled Crafting Challenge. I reserve the right to add more or subtract some. 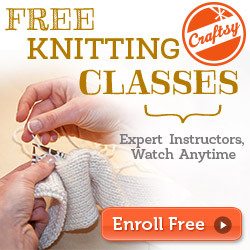 Have you had any opportunity to work on your upcycling projects? Yes, I was able to work on the t-shirt project, but I'll make another one, because all the photographs that I took were on my camera that was stolen.